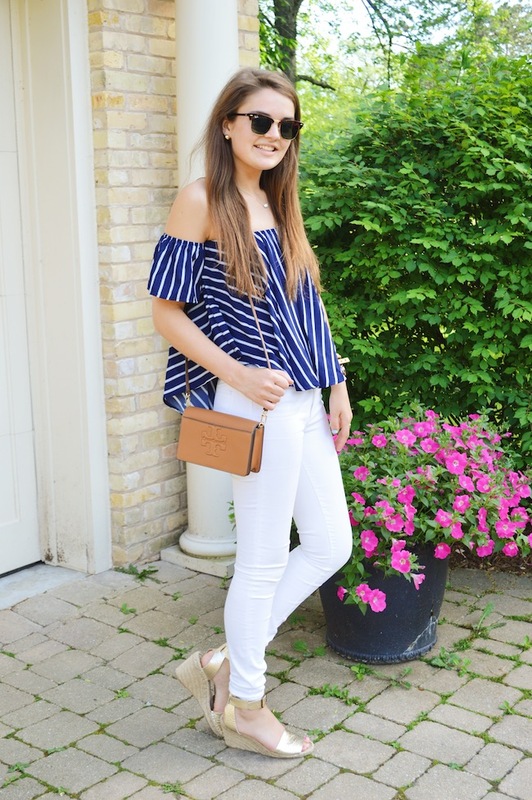 I'm always hesitant to try out trends like off the shoulder tops because they often feel a little out of my comfort zone, but when I came across this striped version, I knew I had to have it! It's a classic version that is my usual preppy look that can easily fit in my wardrobe but is still super different and fun. I also have to share two of my favorite graduation gifts that I've been wearing nonstop recently: this Tory Burch crossbody and this Daniel Wellington watch. I'm so grateful for my generous friends and family that know me so well - I truly can't take either of them off! They are perfect investment pieces that I know I will use in college and way beyond. Stay tuned for an entire post dedicated to off the shoulder tops this Thursday! Wish me luck as I am off to Freshman Orientation today! 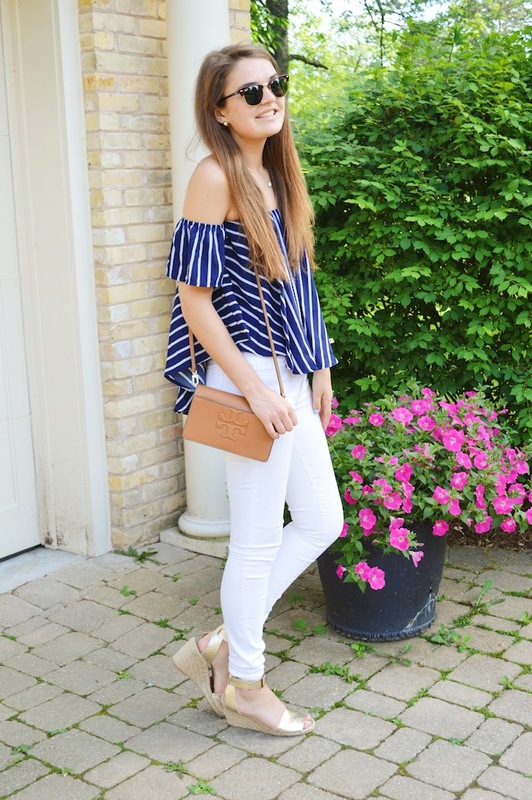 Love that off the shoulder top, I've been loving that trend this summer! The stripes make it super fun! Good luck at your orientation. Love this outfit, it's so cute! Good luck at orientation and I hope you have a great time!